On March 26, 2019 our lawsuit challenging North Carolina’s GOP gerrymander -- Rucho v. Common Cause -- went before the Supreme Court. A federal court already sided with us last year — striking down the state’s blatantly gerrymandered congressional map as unconstitutional. But North Carolina politicians appealed, and now, we’re headed to the Supreme Court. If we win, it will set a landmark precedent to end partisan gerrymandering — not just in North Carolina, but nationwide. But it’ll only happen if Common Cause Members like you step up. In our democracy, voters should choose who gets to represent them. But partisan gerrymandering flips that on its head — letting politicians pick their voters by drawing legislative districts to benefit themselves, and box out the competition. In 2016, a federal court struck down North Carolina’s congressional districts as an unconstitutional racial gerrymander. Politicians had blatantly rigged the legislative map to limit Black voters’ representation and make sure white votes counted more than everyone else’s. 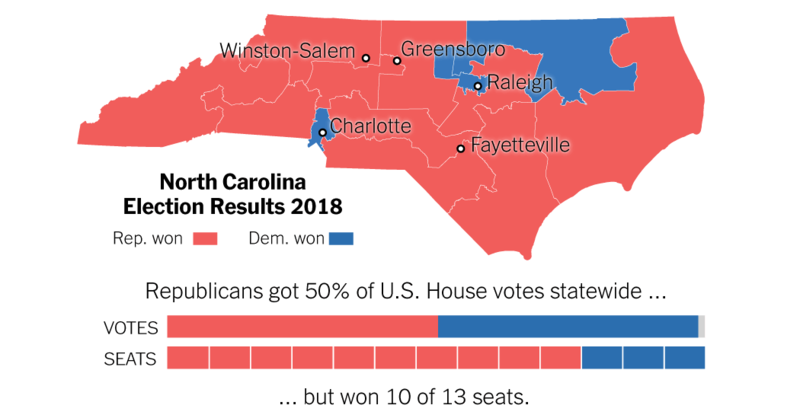 But once the court ordered legislators to draw a new map, North Carolina Republicans didn’t learn their lesson. Instead, they proudly declared that the new map wouldn’t be a racial gerrymander, but a partisan gerrymander — giving Republican voters a bigger say than Democratic ones. It’s the height of shamelessness… even after that first legal rebuke, these politicians wouldn’t stop trying to decide the outcome of elections in every district — before the votes were even cast. So Common Cause sprung into action. We sued the North Carolina legislature and won. Now, we’re headed to a showdown in front of the Supreme Court — and the stakes for our democracy couldn’t be higher. We have the legal talent and policy expertise to litigate this case before the Supreme Court. And we have the grassroots power needed to enact lasting, nonpartisan solutions that ensure fair redistricting in all 50 states. We’ve been preparing for this moment for years — but we cannot win without your support. I hope you’ll agree — the stakes are too high to do anything less. The Constitution is on our side. The facts are on our side. But this fight is far from over. Arguing and winning Rucho v. Common Cause before the Supreme Court will stretch our resources to the limit. Please make your contribution today — all gifts before midnight tonight will be MATCHED — and take advantage of a once-in-a-generation opportunity for democracy.